During our quiet winter months in the North Carolina mountains, it's the perfect Small Town Snuggle Season for mountain trips! Kick of a new year (and recover from the last) with a peaceful getaway to one of our top small towns of Cashiers, Sylva and Dillsboro. 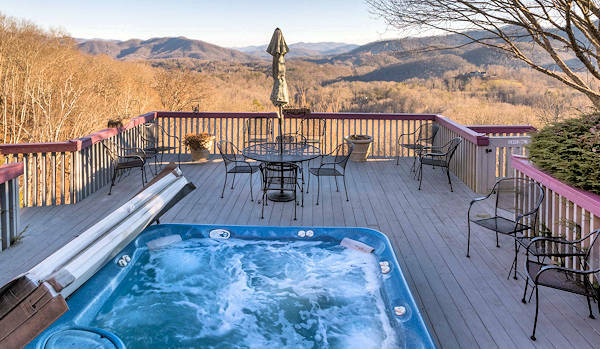 Here are a few ideas for the ultimate relaxation and easy exploration in scenic Jackson County west of Asheville in January, February and March. 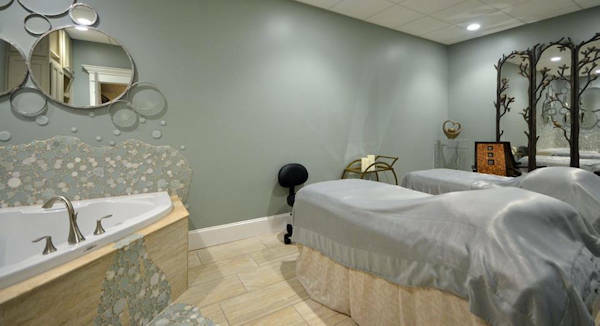 For the ultimate spa day of relaxation and rejuvenation, head to Fusions Spa in downtown Sylva (714 West Main Street). Their couples room allows for side-by-side massages - individually designed with many options. Arrive early and stay late in their Relaxation Room, robe and slippers provided. Warm up in their dry and wet saunas. Take a hot soak in the jetted tub infused with special blends for detoxing and calming. Our favorite is the "beer bath" with hops, sipping your favorite brew during your soak! The Top Spa Package at Fusions is the "Selfie Time Escape" with 3 hours of pampering ($208/person): Begin or end with a steam session or detoxifying sauna. Sip tea in the quiet relaxation room before a customized one-hour massage. Next, a 60-minute detoxifying herbal body wrap envelops you in aromatic warmth, followed by a facial and organic lip treatment, hydrating masque and rich moisturizer. Read more about Fusions Spa. Also, see our Sylva Guide for many more things to do. Find some fantastic craft breweries that are friendly and fun places to hang out. Some must-try seasonal beers at Innovation Brewing include Chocolate Stout in January and Peanut Butter Amber in February! Pairing with some chocolate makes it even better. Sylva: Pick up some local chocolates from Baxley's Chocolate (546 W Main St) and head to one of two downtown Sylva breweries: Innovation (414 W Main St) and Balsam Falls (506 W Main St). Dillsboro: Pick up chocolates at the Dillsboro Chocolate Factory (28 Church Street) and walk over to Innovation Station Brewery (40 Depot Street). Cashiers: Get your chocolates at Cashiers Farmers Market (78 Highway 64 East) and head to Whiteside Brewing (128 NC-107). Read more about these breweries on the Jackson County Ale Trail. 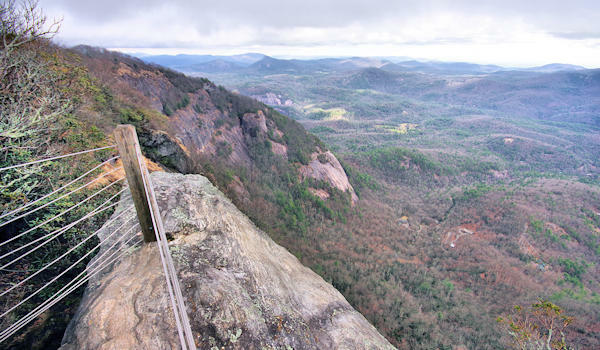 Whiteside Mountain (photo above): Located near Cashiers, this super scenic loop trail takes you along the clifftops the panoramic views of Nantahala National Forest. Condé Nast Traveler picked it as a top hike in the country! High Falls: Hike down to the bottom of this 150-foot tall waterfall below the dam for Lake Glenville. Find towering cliffs and plenty of rocks for sitting. Afterwards, walk across the road for the lakeside park for a picnic on those mild winter days. Schoolhouse Falls: Stroll through Pantertown Valley to this scenic waterfall deep in Nantahala National Forest. Pinnacle Park: Winter is a perfect time for this strenuous yet rewarding hike with panoramic views from the summit, one of the few trails that never closes due to ice or snow. 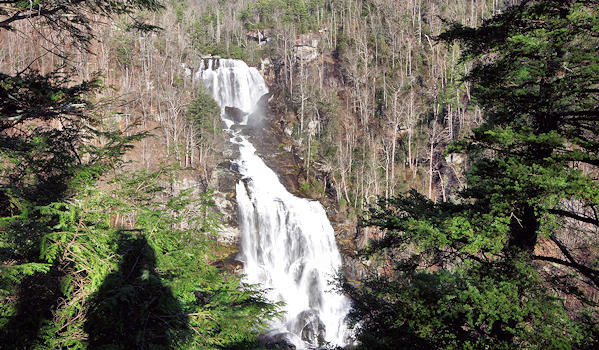 See four waterfalls in one day with an easy scenic drive through Nantahala National Forest. From Cashiers, head south on NC 107 for four miles to Silver Run Falls. This beautiful setting is a short walk from the road. Continue south five miles on NC 107 into South Carolina and turn left onto Highway 37-413 for about 2 miles. At the end, turn left onto Highway 130 North back into North Carolina to find Upper Whitewater Falls (photo above) on the right. It’s a short walk on a paved trail to the overlook for one of the tallest waterfalls in eastern USA. 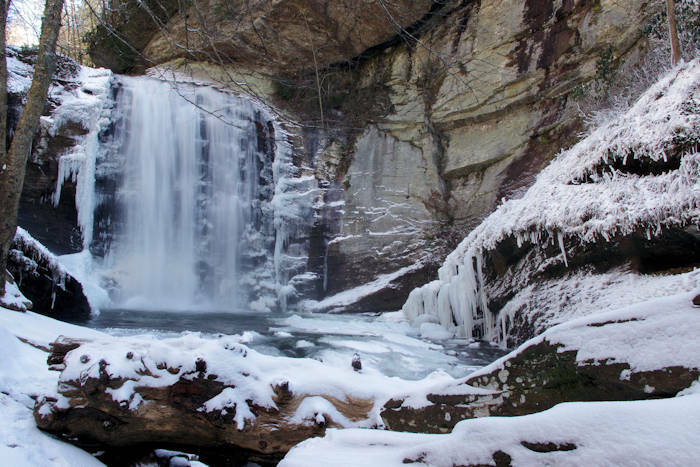 For a longer hike to more waterfalls, turn right out of the Upper Whitewater Falls parking area on NC 281 North for about 8 miles to Gorges State Park. Hike to Rainbow Falls and Turtleback Falls. 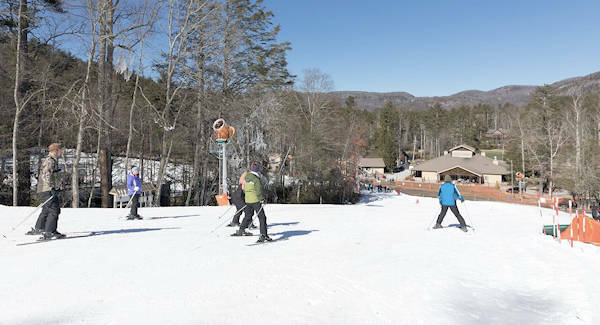 Near Cashiers is Sapphire Valley Ski Resort, a small resort perfect for beginners and families that don't want to tackle the crowds of the bigger resorts. A fun option is their 700-foot tubing run - fun for all ages with no experience required! Go to the Jackson County Guide for details. From Dillsboro, the authentic Cherokee is an easy 15-mile drive. Your first stop should be the Museum of the Cherokee Indian. Next door, see plenty of local crafts and art at Qualla. Continue on US 441 for just 3 miles to reach the entrance to the Great Smoky Mountains Park. Stop at the Oconaluftee Visitor Center and Mountain Farm Museum to learn more about this area. Continue into the park on Newfound Gap Road for a scenic drive up to Newfound Gap (open except for snow and ice storms). Read more about Cherokee. Yes, winter is a great time to fish. Jackson County is home to the WNC Fly Fishing Trail, the country’s first and only fly fishing trail. Since the cooler temperatures allow fish to feed all day long and the state starts its supplemental stockings in the fall, the fish are plentiful and biting during the cooler months. Local guides take you to the best spots and provide all the gear. Go to the Jackson County Guide for details. More info: Go to Jackson County Winter Planner with plenty of things to do, restaurants and events. For a more laid back, small town beer adventure, head to Sylva’s Main Street for Balsam Falls and Innovation Brewing. Then venture to Innovation's new Dillsboro riverside spot and Whiteside Brewing in Cashiers.